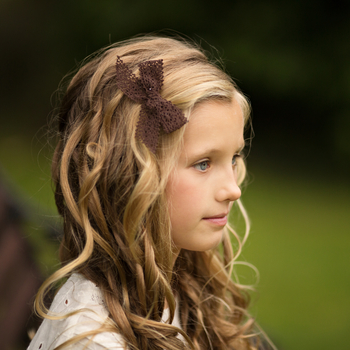 A brown lace ribbon hair bow. Free delivery. 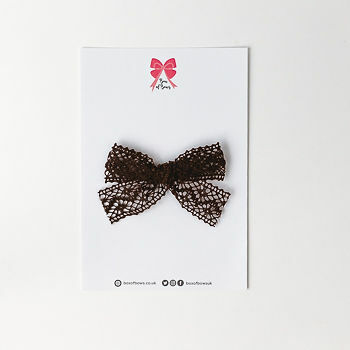 All individual hair bows are shipped in a pink bag.